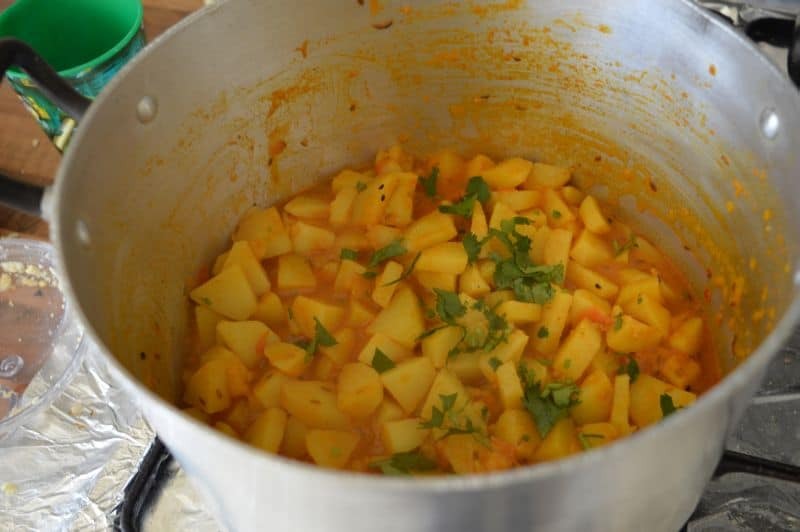 Achari aloo sabzi is a pickle flavored potato curry. Very easy recipe made with few ingredients and simple steps. Also try Potato Beans Curry recipe and Potato Mushroom Karahi recipe. 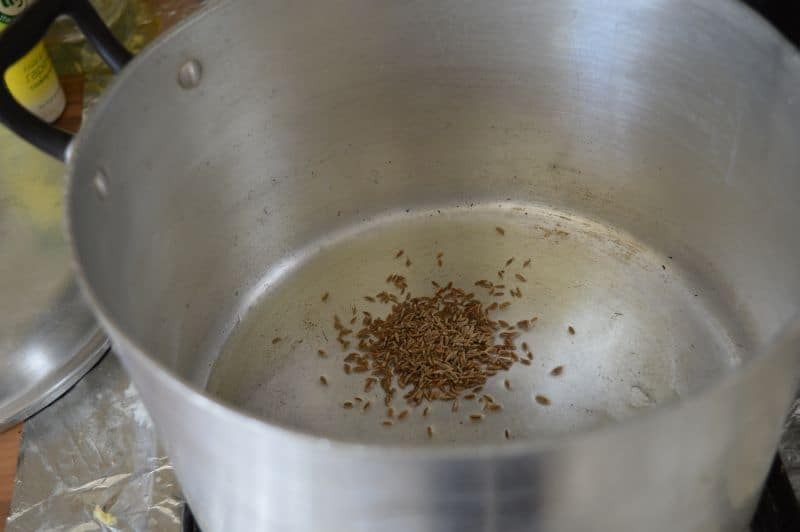 In a pan add 3-4 tbsp oil with whole cumin. Stir few seconds. 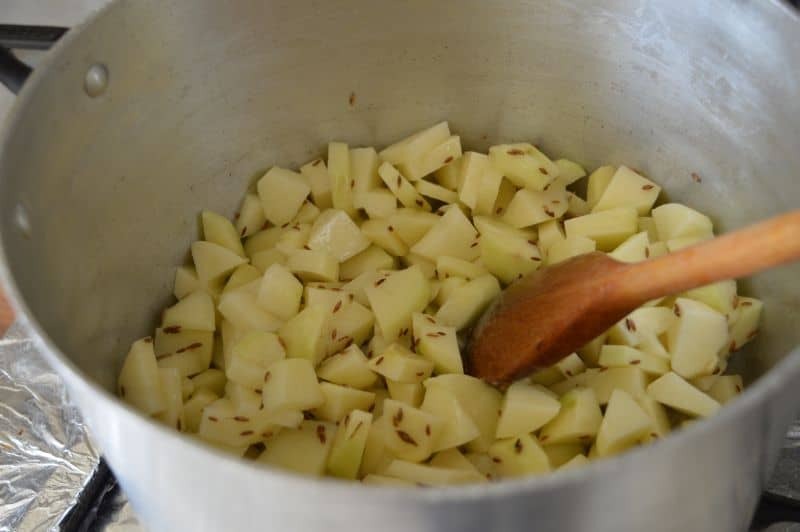 Add in peeled and small sliced potatoes, stir few seconds. 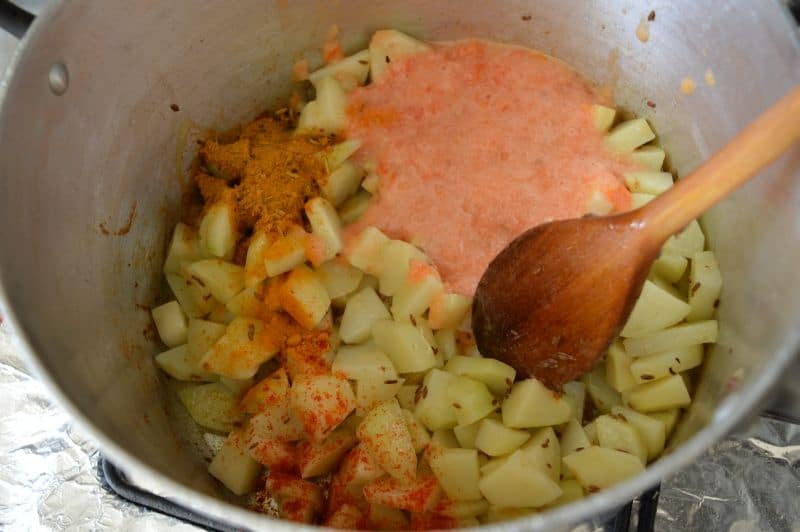 Add in tomatoes paste, red chili powder, turmeric powder, salt and achar gosht masala. 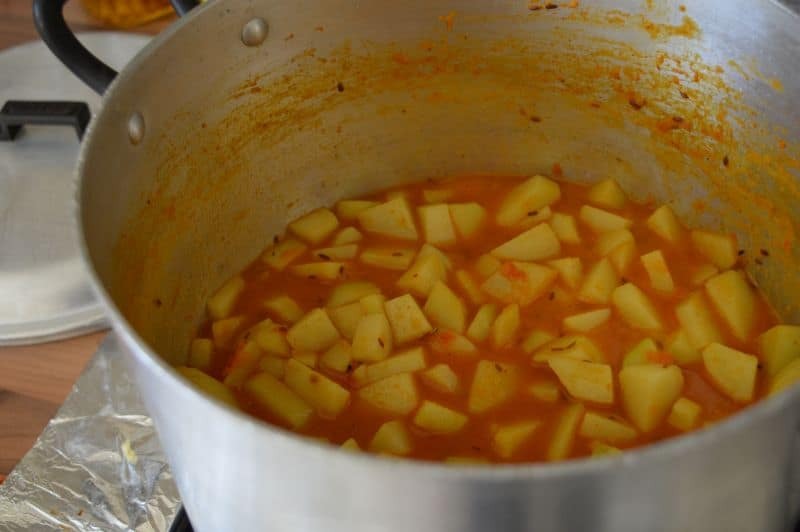 Mix well ,add 1 cup water and let it cook on low heat until potatoes are nicely tender. 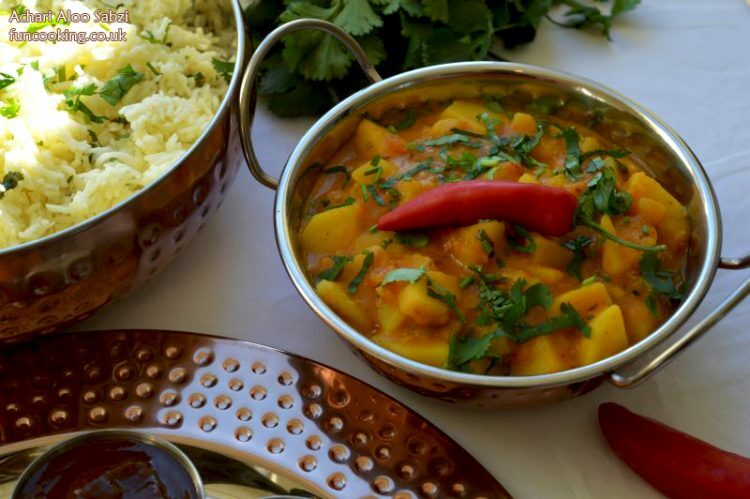 When potatoes are nicely tender, add in lemon juice, fresh coriander, mix and taste salt. Turn off the heat.